For those who risk a hernia each time they try to crawl in and out of a boat on a trailer, there's the Fishermans2Step, in solid and folding versions. 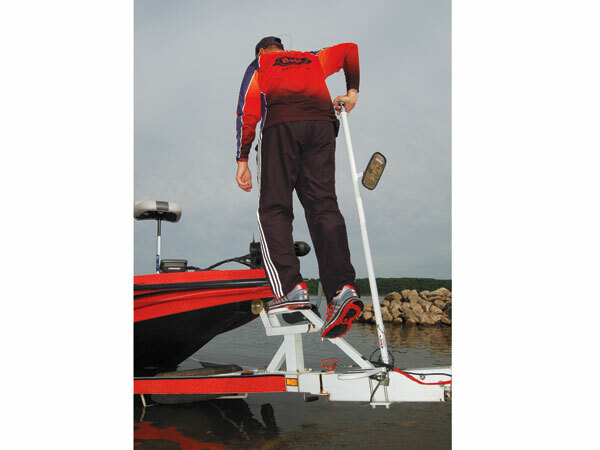 Attached to the tongue on your trailer you can step right up and into the boat, even with your hands full. It includes a "rear view" mirror that allows seeing your trailer hitch ball in relation to the trailer tongue as you back up — $299, nonfolding; $319, folding, www.boatingandmarineproducts.com.